New Delhi: On a day notification was issued for the election to choose the next Congress President, a party functionary from Maharashtra on Friday raised more questions over the election process. 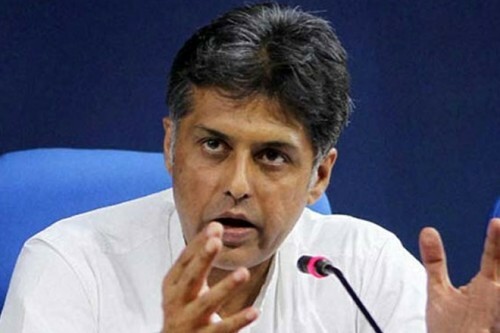 Maharashtra Congress Secretary Shehzad Poonawalla alleged that party’s spokesperson Manish Tewari had told him during a conversation that the Congress was a “proprietorship” like every other political party in India. The audio clip of the purported conversation between Poonawalla and Tewari was also played out by TV news channel Times Now. Tewari is heard telling Poonawalla that his remarks against the election process were “one way ticket out of the party”. Poonawalla tells Tewari during the conversation that organisational elections right from the booth level were supposed to be held on “secret ballot” but that was never the case. Poonawala also says he did not have problem with surnames but merit should be rewarded, and talks about Ajay Maken continuing as Delhi Congress chief despite the party losing several elections. He also says that it was second wave of reforms which “are very essential for democracy”. Union Information and Broadcasting Minister Smriti Irani took a dig at the Congress over the issue and said that there had been conversations for the past two years in the Congress about how Rahul Gandhi was to be elected the party chief. “It is perpetual thing in the Congress party,” she said and added that “nothing that Tewari was saying is new”. The last date of filing nominations for the organisational polls in which Rahul Gandhi is slated to be elected party chief is December 4. Poonawalla had on Thursday said that the Congress and its Vice President Rahul Gandhi must answer questions raised by him about “delegates being fixed” or “about one family-one ticket rule”. The Congress had raised questions over Poonawalla’s stature in the party and slammed him for showing disgruntlement on the eve of election.